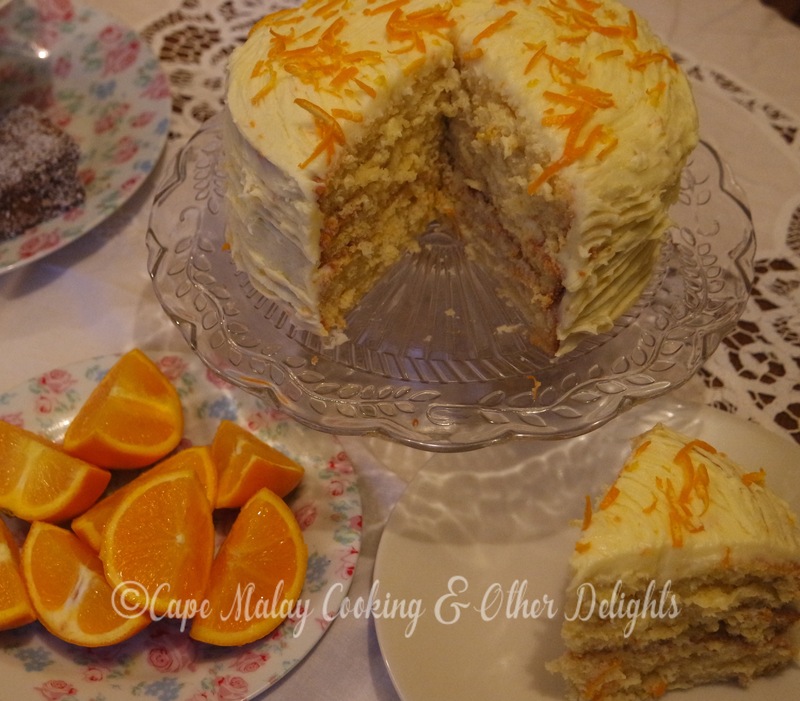 Orange Cake Salwaa Smith - Cape Malay Cooking & Other Delights ﻿ This cake have a citrusy flavour and the sweet and sourness of the orange juice and the orange butter icing gives this cake an incredible taste. Absolutely delicious. 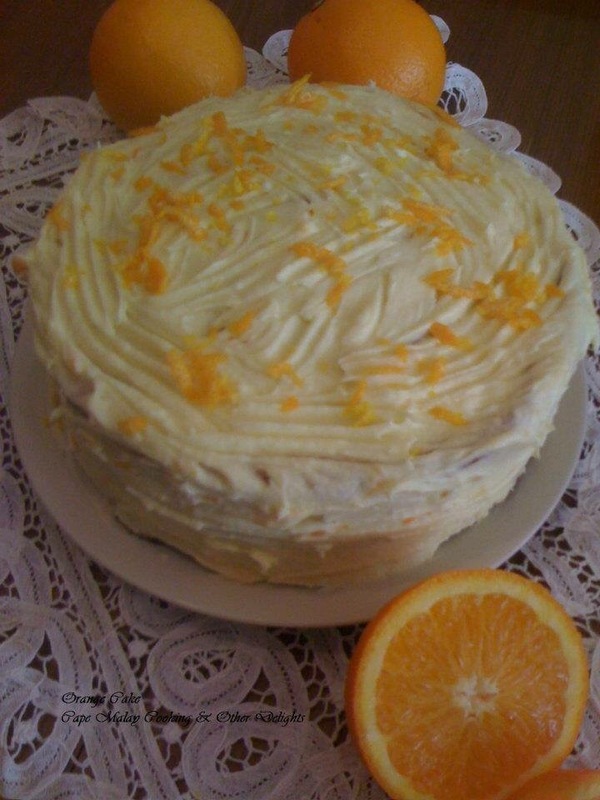 Ingredients Serves: 12 2 cups cake flour ½ teaspoon salt 3 teaspoons baking powder 300g caster sugar 1/2 cup milk 1/2 cup orange juice 1/2 cup vegetable oil 3 large eggs, beaten 1 ½ teaspoons grated orange zest Orange butter icing: 6 tablespoons butter, softened 250g icing sugar #capemalaycooking 2 tablespoons orange juice 1 teaspoon vanilla essence 1 teaspoon grated orange zest Method: Preheat oven to 180° Celsius. Grease and flour two 20cm round cake tins. In a measuring jug, combine milk, 125ml orange juice, oil, beaten eggs and 1½ teaspoons orange zest. Set aside. Sift flour, salt and baking powder into a large bowl. Mix in sugar. Make a well in the centre and pour in the milk mixture. Stir until thoroughly combined. Divide cake mixture between the two prepared tins. Bake in the preheated oven for 35 minutes, or until a skewer inserted into the centre comes out clean. Allow to cool. To make Orange Butter Icing: Cream butter until smooth. Gradually beat in icing sugar. Beat until light and fluffy. Beat in 2 tablespoons orange juice to bring to spreading consistency. Stir in vanilla and 1 teaspoon orange zest. Spread over cooled cakes. This recipe can also be made into 2 small loaves. 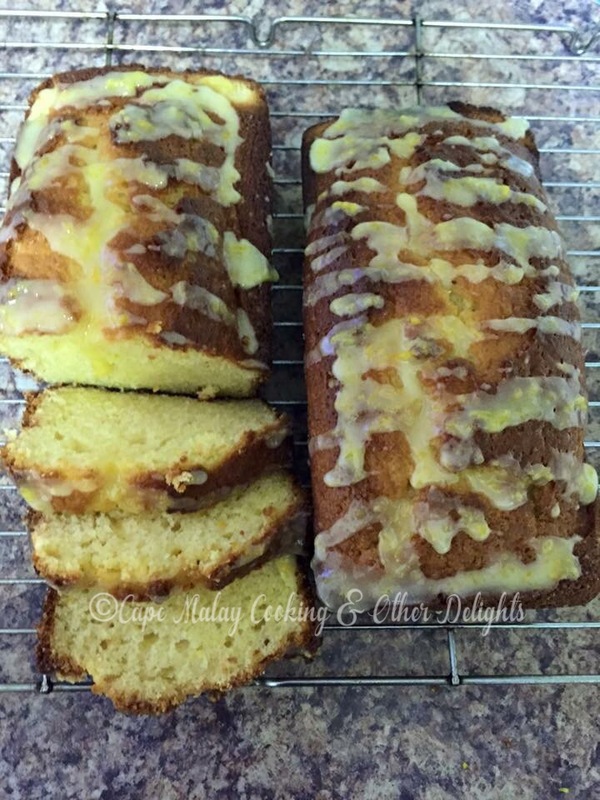 Instead of covering the cake with buttercream drizzle the tops with some icing sugar mixed with orange juice.